We were celebrating the 10th anniversary of the Best Practice Institute's (BPI) Senior Executive Board last week in the Winston Churchill Suite at the Waldorf-Astoria in New York. I had been at the first board meeting in Chicago, and here we were back again. The theme of the meeting was exploring, discovering, and creating sustainable practices that will support the creation of sustainable organizations and economic development globally. The tag line for the event: Engaging and Re-Igniting Our Global Workforce Through Sustainable Economic and Talent Development. Pursuant to that, the 15 or so participants and their BPI hosts were to spend some time at the United Nations on the Monday following the Sunday opening meeting at the Waldorf. "Many are wondering: maybe it is time we reverse course. Increasingly, people are re-assessing what the true purpose of life is. And they conclude it is not "more stuff", but a higher income of happiness. I believe there is a shift in emphasis happening. And it will have far-reaching implications for governments, companies and the way societies organize themselves. That is why the UN Global Compact is right on the dot. And, why the BPI Senior Executive Board is dedicated to meeting at the United Nations to act on these issues and connect them to their talent strategies. By incorporating the Global Compact principles into strategies, policies and procedures, and establishing a culture of integrity, companies are not only upholding their basic responsibilities to people and planet, but also setting the stage for long-term success." It all sounds good. So how does Face The Music fit in, and why did BPI have us come in to Sir Winston's suite on Sunday to help the board work together to write and perform songs? How can FTM help these large corporations align on a path to more responsible business practices, values, and principles? Lou, the head of BPI mentioned above—and also an experienced drummer—believes in the power of music, in music's ability to bring people together, and to align in a way that takes their intentions and spoken purposes and takes them to a deeper, meaningful level. Bringing this group of HR and talent leaders together around their individual purposes and finding the common ground to create a shared purpose makes for a powerful learning experience for the group, and also mirrors the process that will happen on a larger scale in their organizations—individuals, teams, divisions, and the organization as a whole coming together around values and purpose to co-create the sustainable future. So, after everyone arriving to the 36th floor of the Waldorf, and quieting down from the New York City craziness, the meeting convened around the large formal dinner table. "Why are you here?" "What do you want to leave with?" "What do you want to contribute?" The process started. The mood of the group seemed to run the gamut from excited to get into it to "what are we up to now?" We played "Call Me Text Me Tweet Me" as our opening song, and got into introducing the program. As they got into their songwriting teams, the enthusiastic participants appeared to transfer their mood to their teammates, and the energy rose as they sang along with our version of "Got My Mojo Working". There was a sense of fun, as well as a sense of opportunity; to explore and express what their purpose here was, and how they could connect with their fellow songwriters to get that out in a creative, authentic, and fun manner. As the songwriting progressed, Akie and I were chasing the groups all over the suite as they found workspaces that suited their creative needs—one group in the dining room with flip charts, another off in a sitting room workin' it, and one on the couch and bed in one of the bedrooms. You could hear the rehearsals resounding through the halls as the teams wrapped up, getting ready for the performances that were to take place after a dinner and drink break. We all gathered back in the living room to welcome some new guests that had arrived, including author/coach/speaker Marshall Goldsmith, who received a BPI Top Thought Leader award and spoke briefly. A champagne toast, some hors d'oeuvres, and a glass of wine—welcomed by some of the more nervous participants to take the edge off as we got the band going again for the performances. Marshall put in a request that we do "Got My Mojo Working" again, since he had missed it. We had done a music video of "Mojo" with him when his book Mojo: How to Get It, Keep It, and Get It Back if You Lose It came out a few years ago. (Click here to watch it.) He came up and did some very enthusiastic singing on the choruses! The energy in the room was up, and ready for the participants. The groups delivered their songs with humor, energy, and once in a while, a little talent. I could tell by the lyrics that they had put some thought and care into the songs, and it came across to the room. It occurred to me the importance of the people with the positive energy leading where the process went from early on. Same as on the job—there are all kinds of opinions and emotions at work in the workplace, and the personal leadership demonstrated by those with the positive vision enrolls others to follow and make something exceptional. By the end of the session, I felt we had all been a part of something exceptional. Although a winning group was chosen and awarded Face The Music LED flashlights and Goldsmith's new Triggers book, it was fitting that everyone ended up getting the loot—they all created a win for the whole group by the way they brought themselves to the process. "It was impressive to see a group of thought leaders come together and bring their willingness to experience, not know and deliver an entirely new product! This was one of the best examples of personal leadership I've seen! 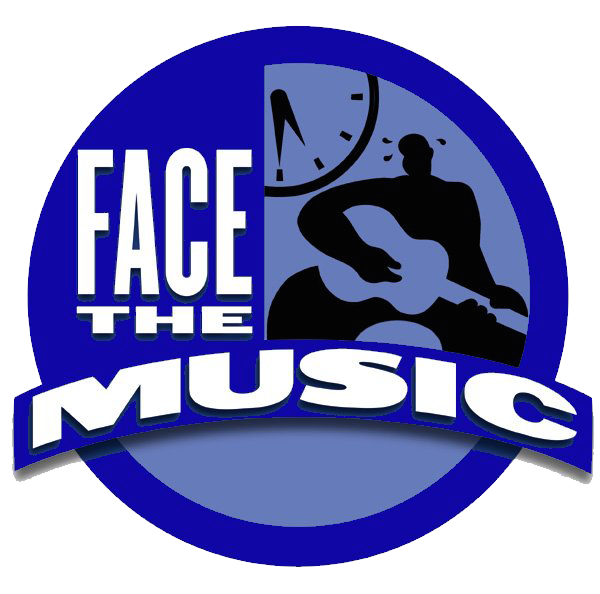 Face The Music, creates a powerful platform and opportunity for everyone, not just leaders, to practice their leadership through jumping into the fray and contributing without having to be perfect!!" Most of you probably do not think about Alfred's law of diminishing utility on a daily basis. Nor do you consider Alfred Marshall a household name. But there is an interesting relationship between the two. Let me explain. The Law of Diminishing Utility simply states that the first unit you consume of a good gives you more utility, or "happiness", than subsequent units. When you're hungry, the first hot dog is just fabulous. The 10th not so much anymore. The economist Alfred Marshall thought a lot about these things. To him, happiness was the ultimate purpose of life. He concluded that more wealth is useful only when it leads to a higher income of happiness. That was more than 100 years ago. Today, we still ask the question: what is our purpose? Modern civilization has reached levels of wealth that were unimaginable only 40 years ago. But many are wondering: is something out of whack? Many are wondering if the world has come to a crossroads. While large parts of humanity remain mired in abject poverty and war, the mantra in other places still is: "more stuff". In many societies, the most pressing form of malnutrition is over-eating. The Aral Sea located between Kazakhstan and Uzbekistan, once the fourth largest lake on the planet has lost over 90 percent of its size since the 1960s due to irrigation projects. So, many are wondering: maybe it is time we reverse course. Increasingly, people are re-assessing what the true purpose of life is. And they conclude it is not "more stuff", but a higher income of happiness. That is why the UN Global Compact is right on the dot. And, why the BPI Senior Executive Board is dedicated to meeting at the United Nations to act on these issues and connect them to their talent strategies. Shaping the future is not about doing away with free markets, as some suggest. But we need to think and act on principles of respect for human rights, fair labor relations, environmental sustainability, and legality. In the end, what we all want is not "more stuff". But happiness in our lives.